Sappi is a global diversified woodfibre company focused on providing dissolving wood pulp, specialities and packaging papers, graphic/printing papers, as well as biomaterials and biochemicals to its direct and indirect customer base. The company's market leading range of products are sold and distributed across more than 150 countries. The company is the world's largest manufacturer of dissolving wood pulp (DWP), which is used worldwide by converters to create viscose fibre for fashionable clothing and textiles, acetate tow, pharmaceutical products, as well as a wide range of consumer and household products. The industry is on the cusp of a period of unprecedented change - and Sappi is at the forefront of technological innovation. By investing in an ambitious programme of research and development, Sappi will continue to unlock the true potential of sustainable renewable resources, with woodfibre at its core. This commitment means Sappi can diversify its product offering and meet future demand in areas such as bio-energy and pharmaceuticals in this current carbon-constrained age. Sappi Southern Africa operates four mills which have a combined production capacity of 685 000 tons of paper, 665 000 tons of paper pulp and over a million tons of dissolving wood pulp per annum. The pulp purchased by its European business is effectively hedged by Sappi Southern Africa being a net seller of pulp. Almost all the production of the mills in South Africa is exported. Sappi Southern Africa Limited was the delighted winner of two KZN Exporter of the Year 2017 awards - the manufacturing award and the large exporters award. Natal." (Elijah Masondo Regional Communications Manager - KZN). Saiccor Mill produces a world-class product in a country where sound technology and infrastructure meet the demands of the global community. 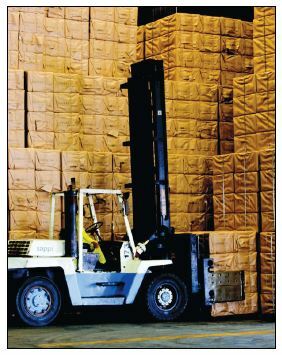 Situated 50 kms south of the port of Durban in the Province of KwaZulu-Natal, the mill is one of the production facilities for Sappi Specialised Cellulose. The mill has the capacity to produce approximately 800 000 tons of elemental chlorine free (ECF) dissolving wood pulp (DWP) per annum, mostly for the export market. Dissolving wood pulp (DWP) is sold to converters to manufacture a wide range of consumer products, but in particular for viscose staple fibre (VSF) used in clothing and textiles. The technology of pulp and paper manufacturing is dynamic and continually advancing as there are demands placed upon paper end-users. To satisfy the demand for good quality paper made with care for the environment, Sappi continually assesses its manufacturing processes and manages product development based on market demands and industry trends. The mill's paper machine has a production capacity of 80 000 tons, while the tissue machine produces around 30 000 tons per annum. It also produces 60 000 tons of bleached bagasse pulp for its own consumption per annum. Tugela Mill has been in operation since 1945 and is currently the oldest purpose-built mill in the Sappi group. The mill produces pulp for its own consumption, containerboard and lignosulphonate for export. Situated in the town of Mandeni near the Tugela river in KwaZulu-Natal, the mill is located near the ports of Richards Bay and Durban (South Africa), allowing for easy access to global markets. Sappi focuses on creating value for its shareholders. The company takes cognisance of its impact on this planet and stakeholders to ensure that all benefit in the long term. Sustainability is not an add-on, but an entrenched part of the way Sappi manages its daily business activities, mitigates risk, leverages opportunities and plans for the future. Of particular importance in South Africa, is the role that Sappi plays in community development. The company's large footprint in rural areas due to the location of its forests and mills focuses its attention, as a responsible corporate citizen, on the needs of these communities; resulting in actions which not only strengthen the business but also have a positive impact on the lives of the people in the communities.